ANETA BIAŁY, Henryk Siemiradzki and the Circle of Spanish Painters in Rome. 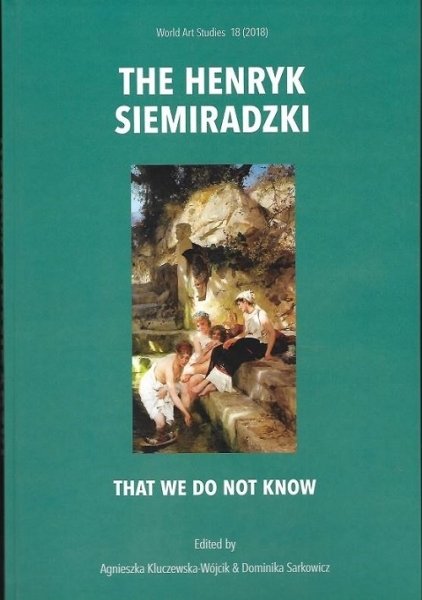 How and Why Siemiradzki – an Ardent Opponent of the Fortunists in Rome – became a Follower of Mariano Fortuny in the Eyes of French Critics in Paris; NIKE F. LAMBE, “Et in Arcadia ego”. 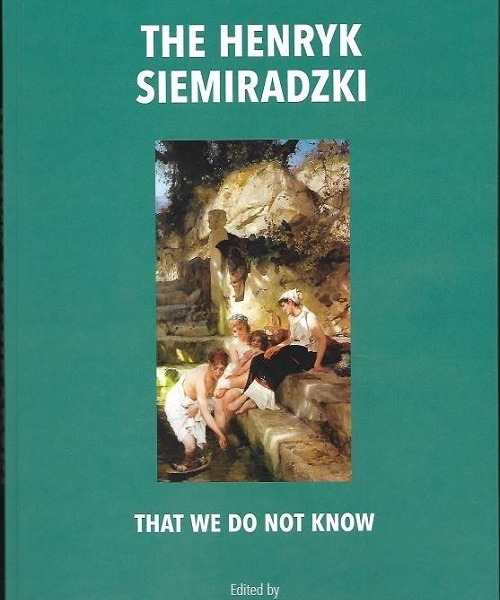 Where Henryk Siemiradzki, Lawrence Alma-Tadema and Frederic Leighton met; WOJCIECH M. GŁOWACKI “A Polyglot of a Paintbrush”? Critical Reception of Nero’s Torches in France; KAMILLA TWARDOWSKA, Henryk Siemiradzki and his interest in the paranormal phenomena; MAGDALENA LASKOWSKA, MONIKA PAŚ, Henryk Siemiradzki – works, memorabilia, documents. The history of the collection of the artist’s legacy in the National Museum in Krakow; MARZENA SIEKLUCKA, DOMINIKA SARKOWICZ, RAFAŁ JANKE, An unknown collection of photographs from the Siemiradzki family albums; ELENA V. NESTEROVA, SERGEY SIRRO, Academic traditions in the art of H. Siemiradzki (on the base of technological research made in the State Russian Museum); YULIA DYAKONOVA, Henryk Siemiradzki’s artistic process . Reconstruction of its initial stage – with the use of X-ray research (based on the collection from The Tretyakov Gallery); KSENIA ZDZIESZYŃSKA-DEMOLIN, DOROTA PLIŚ, A multi-staged and passionate process of building and modifying compositions in Henryk Siemiradzki’s paintings in the light of analytical photography; DOMINIKA SARKOWICZ, MARZENA SIEKLUCKA, ANNA KLISIŃSKA-KOPACZ, The palette and characteristic features of Henryk Siemiradzki’s use of pigments in the context of the examination of two paintings of uncertain attribution; JUSTYNA KWIATKOWSKA Characterization of binding media in Henryk Siemiradzki’s works by using non-invasive reflection infrared technique; RADOSŁAW WĄSIK, Application of microscopic dendrological analysis in the identification of wooden supports of selected works by Henryk Siemiradzki.